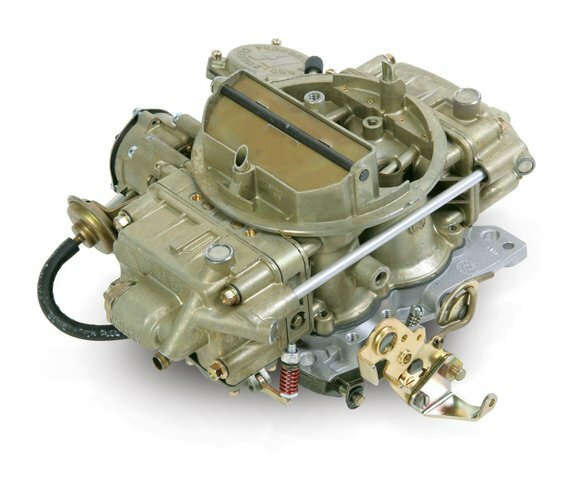 Do you like the tunability Holley's modular carbs, but need to simply replace a Q-jet? The spread bore bolt pattern of the 0-80555C lets you do just that. It has vacuum secondaries and electric choke, so it is useable on a wide variety of vehicles and its single fuel inlet that is in the standard Q-jet location makes it easy to bolt on. Don't trust your performance to just anyone, Holley is the only modular carburetor company that has been in business for over 100 years and has powered every NASCAR champion since the 60's. ***The 0-80555C is designed to fit GM spread bore passenger car and light truck applications. It is not compatible with Ford or Chrysler Spread bore applications. The 0-80555C is not recommended for any RV applications. The 0-80555C is not designed to pass any emission laws. The 0-80555C is to be used only for competition/off road vehicles or vehicles not required to comply with any exhaust emissions standards.